uPVC Vertical Siding Sash Windows are an excellent choice if you wish to maintain traditional aesthetics with the features and benefits of 21st century uPVC technology. 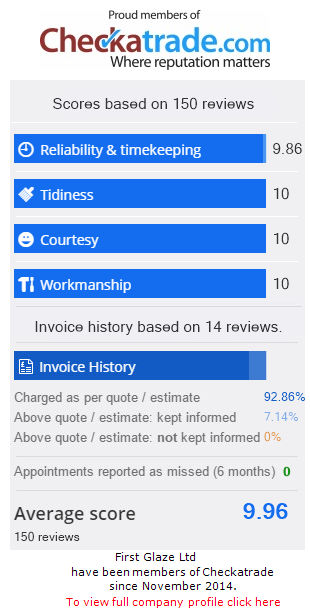 We have many years of experience installing uPVC Windows in homes across Rochester, Maidstone, Sittingbourne, Chatham, Ashford and Kent, so you can be rest assured that your double glazing needs are in safe hands when you choose First Glaze. Incorporating high security measures with authentic sash horns for a beautiful aesthetic, our uPVC vertical sliding sash windows are a unique choice for the customer with an eye for detail. Not only do they convey a traditional appearance but they also excel in performance for thermal insulation, noise reduction and security. These many benefits add up to provide your home in Kent with fantastic home improvement. You really can have the best of both worlds when you choose sliding sash windows from First Glaze Ltd. Traditional sliding sash windows have been a very popular addition to homes for many years and remain a favourite even today. Their classic appearance exudes a charm that is both simple and elegant while complementing a wide variety of property types. The beautiful aesthetic characteristics of vertical sash windows are unfortunately commonly associated with some well-known issues that traditional timber sash windows develop. Warped and ill-fitting timber frames often allow cold draughts and even water ingress, while operating the sashes can quickly become problematic. This can lead to ongoing maintenance required on wooden sash windows, making them troublesome and expensive to upkeep. Now you can have the classic appearance of traditional sash windows with the performance of modern uPVC. Our sliding sash windows can incorporate intricate detailing that will make your double glazed windows stand out and enhance your Kent property. Choose optional decorative sash horns for a traditional touch to your double glazed windows, all the while maintaining high security measures using cam locks for extra peace of mind. Here at First Glaze, we ensure our uPVC sliding sash windows operate smoothly and seamlessly, with no squeaks or bumps hindering their functionality. We draw on our vast experience and always take the time to ensure that your windows are fitted right the first time. We use spring balance mechanisms for our double glazed windows that are specially designed to counteract the weight of the sliding sash for the smoothest operation possible. This creates an effortless slide feature that is sleek and easy to use. These innovative sliding sash windows offer functionality that traditional sash windows just can’t do. We’ve incorporated a built-in pivot bar which enables sashes to tilt inwards for extra ventilation. This also makes cleaning easy, by being able to access the exterior window pane from the inside. 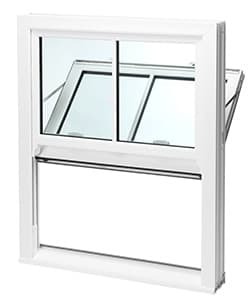 Ideal for windows with limited access and on upper floors. 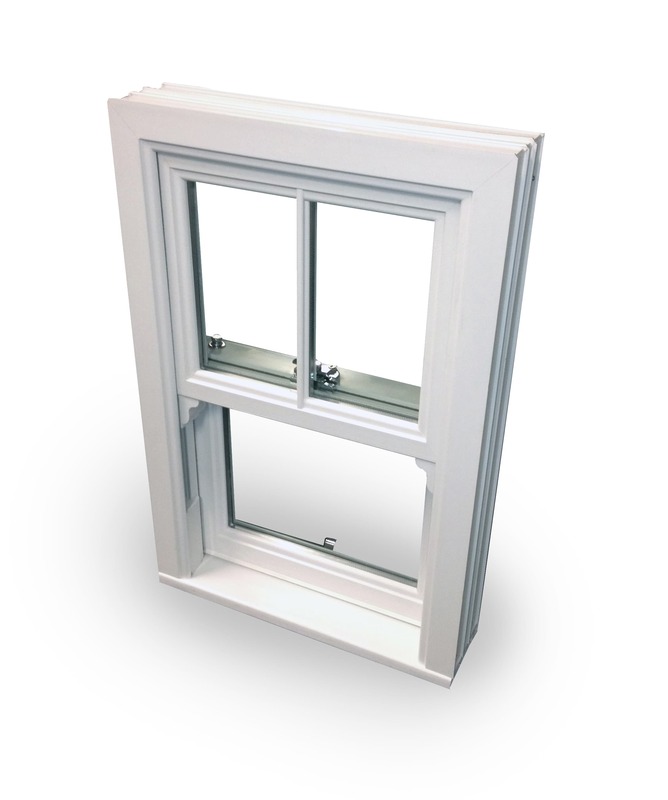 Our uPVC Vertical Sliding Sash Windows come with concealed gaskets, which provide the perfect finish as well as additional protection from the elements. Eliminating those common problems of traditional timber sash windows with design features that prevent water ingress and cold draughts. If you’re replacing traditional wooden sash windows with our uPVC vertical sliding sash windows, then you so notice a difference in the heat retention of your home in Rochester or Maidstone. Your home will be warmer allowing you to reduce the energy that you need to heat your home, saving you money and the environment. Concerned uPVC Sliding Sash Windows aren’t family friendly? 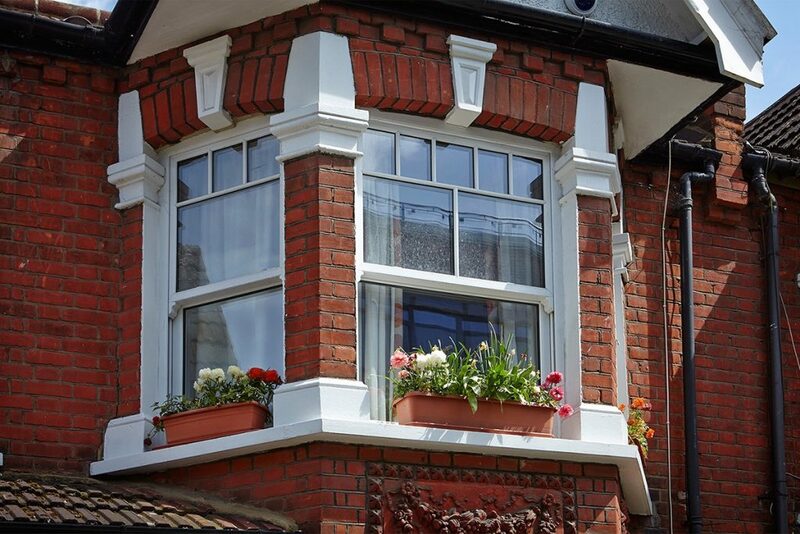 Here at First Glaze we accommodate all customers in the Rochester and Kent areas, which is why we’ve included optional restrictors that can be fitted to stop the bottom sash sliding fully. This will keep your little ones from any misfortunes, and keep the double glazed window functioning smoothly and effectively. We also incorporate premium Yale locking systems into our uPVC windows, giving you peace of mind when it comes to the invaluable safety of your family and Kent home. We believe in offering you the best price first time with no gimmicks or endless promotions. Get in touch with us today to discuss your requirements or for additional information regarding our beautiful uPVC vertical sliding sash windows. 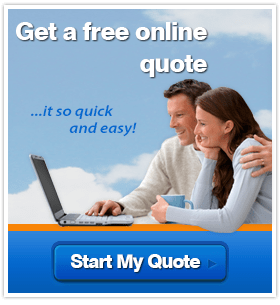 We offer no obligation quotes; alternatively you can use our design tool to start your instant online quotation today!